A doctor at a Chinese state-owned hospital, an administrator at a Mexican state-owned university, and an employee at a Venezuelan state-owned oil company—what do these three have in common? They have all been considered “foreign officials” under certain circumstances in Foreign Corrupt Practices Act (“FCPA” or “Act”) enforcement. The FCPA was passed in 1977, in the wake of the Watergate Scandal. In recent years, businesses have found it increasingly tricky to comply with the FCPA because globalization has dramatically changed the marketplace. This article will help you understand the requirements and scope of the FCPA and identify trends in FCPA enforcement, so you can help your clients remain compliant and ameliorate FCPA risks. The accounting provision requires issuers to (1) keep books and records that accurately and fairly reflect transactions in reasonable detail and (2) maintain adequate internal controls to ensure that transactions are (i) made with management authorization and (ii) properly recorded. Although the accounting provision is part of the FCPA, note that it is broadly drafted and is concerned generally with the integrity of an issuer’s books. The Agencies have prosecuted companies for violations of the accounting provision that have nothing to do with foreign bribes, but instead involve other types of improper record keeping (e.g., improper revenue recognition). The anti-bribery portion of the FCPA makes it a crime to give or promise anything of value to a foreign official with the intent to improperly influence the official to obtain a “business advantage.” This provision applies to a larger category of individuals and companies than the accounting provision: it applies to U.S. persons, companies, and issuers, and their employees, officers, directors, and agents. The Agencies’ enforcement priorities have changed over the past few years. For example, until recently, individual prosecutions under the FCPA were rare. However, in 2017, the DOJ introduced the Pilot Program, which focuses on individual accountability, and both Agencies have expressed their desire to ensure that, in appropriate situations, individuals are prosecuted. This focus on individuals is reflected in enforcement trends. In 2017 alone, the government prosecuted 20 individuals under the FCPA—the second greatest number of individual prosecutions in one year since the FCPA was passed. Many of these actions arose from the U.S.’s anti-corruption probe into deals with PDVSA, Venezuela’s state-owned oil and gas company. These individual defendants have been accused of participating in a scheme spanning several years to secure contracts with PDVSA by paying bribes to its employees. Many of these alleged bribes were structured as commission payments or kickbacks taken off the top of over-priced contracts. The PDVSA investigation has continued through 2019—two more U.S. businessmen were indicted in late February. Another major trend in FCPA enforcement is the Agencies’ expanding views regarding who qualifies as a “foreign official.” The Act defines a “foreign official” as “any officer or employee of a foreign government or any department, agency, or instrumentality thereof.” Many recent enforcement actions have zeroed in on payments to “instrumentalities,” a term which is undefined in the Act. However, the Esquenazi case left many open questions, including whether state-owned entities operating outside of their home-countries may be instrumentalities for purposes of the FCPA. Recent enforcement actions show the Agencies believe the answer is yes, at least in certain circumstances. For example, in United States v. Bahn, the government alleged that the defendant attempted to bribe the representative of a Qatari sovereign wealth fund to invest in private real estate managed by the defendant’s employer in Vietnam. A sovereign wealth fund is a government-owned entity that invests money derived from a country’s assets but otherwise acts similarly to a private market participant. Similarly, in United States v. Condrey, U.S. companies and their individual representatives were targeted under the FCPA for commission payments made to the U.S. subsidiary of a Russian energy corporation. The information alleged that TENAM, a company incorporated in Maryland, was a Russian government instrumentality because of its parent-subsidiary relationship with TENEX. TENEX is the sole supplier and exporter of Russian government-owned uranium. The DOJ alleged that the TENAM employees, who lived and worked in Maryland, were “foreign officials” and that the bribes therefore violated the FCPA. These cases illustrate that interacting with foreign entities, even domestically in the U.S., can implicate FCPA compliance concerns. Young attorneys who understand the basic elements of the Act and remain apprised of major enforcement actions can be a great asset to clients looking to do business with non-U.S. entities. While the Agencies’ focus has shifted over the years, what remains constant is that, in the globalized marketplace, managing the potential for FCPA exposure requires engaging more intentionally in FCPA compliance procedures. See In the Matter of SciClone Pharm., Inc., Exchange Act Release No. 77058 (Feb. 4, 2016), http://www.sec.gov/litigation/admin/2016/34-77058.pdf (alleging defendants “gave money, gifts and other things of value to foreign officials, including healthcare professionals . . . who were employed by state-owned hospitals in China”); Office of Public Affairs, Dep’t of Justice, Four Businessmen and Two Foreign Officials Plead Guilty in Connection with Bribes Paid to Mexican Aviation Officials (2016), https://www.justice.gov/opa/pr/four-businessmen-and-two-foreign-officials-plead-guilty-connection-bribes-paid-mexican (“As part of his guilty plea, Nevarez admitted that while employed by a Mexican public university, he accepted bribes. . .”); Office of Public Affairs, Dep’t of Justice, Two Businessmen Charged with Foreign Bribery in Connection with Venezuela Bribery Scheme (2019), https://www.justice.gov/opa/pr/two-businessmen-charged-foreign-bribery-connection-venezuela-bribery-scheme. See, e.g., SEC v. Retail Pro, Inc., 673 F. Supp. 2d 1108, 1134 (S.D. Cal. 2009). Office of Public Affairs, Dep’t of Justice, Two Businessmen Charged with Foreign Bribery in Connection with Venezuela Bribery Scheme (2019), https://www.justice.gov/opa/pr/two-businessmen-charged-foreign-bribery-connection-venezuela-bribery-scheme. See United States v. Esquenazi, 752 F.3d 912, 927–28 (11th Cir. 2014), superseded by statute on other grounds, Fraud Enforcement and Regulatory Act of 2009, Pub. L. No. 111–21, § 2(f)(1), 123 Stat. 1617, 1618, as recognized in United States v. Gross, 661 Fed. Appx. 1007, 1023 (11th Cir. 2016). Indictment, United States v. Bahn, No. 16-CR-00831 (Jan. 10, 2017). See Information, United States v. Condrey, No. 8:15-CR-332-TDC (June 16, 2015). 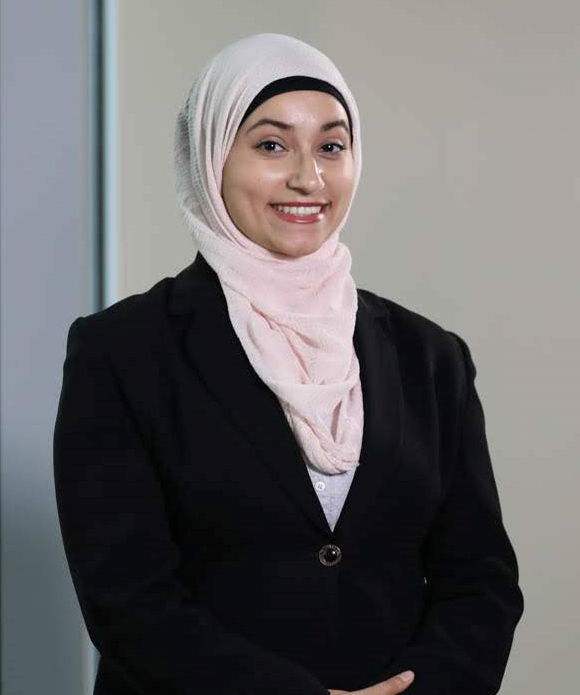 Noor Wadi is an associate in the Government Investigations and Securities Litigation Practice Group at Haynes and Boone. She defends civil and criminal investigations and litigation by the government (including FCPA enforcement) as well as securities and antitrust litigation. Articles on the DAYL website are provided for informational use only, and are in no way intended to constitute legal advice or the opinions or views of the DAYL.